We feature the best adjustable beds on the market. 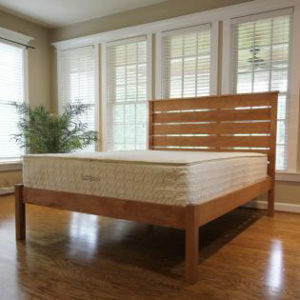 Leggett & Platt is a 125 year old Fortune 500 company that has been in the adjustable bed business for over 30 years. Leggett & Platt adjustable beds are made right here in the U.S.A.
Premier Models of adjustable bases marry state-of-the-art technology with superior craftsmanship. The pairing results in quiet elegance and extraordinary comfort. Expert engineering integrates the bed with your bedroom to control room lighting, air flow, sound, and more. With customizable bedroom scenes for any activity, Premium bases help you create the retreat of your dreams. The S-Cape line of Performance Models lets you create the ultimate bedroom relaxation haven. Use the wireless remote or download the free app to find the perfect position for reading, watching TV, or just lounging in bed. Massage and under-bed lighting features add ambience, and convenient USB ports let you charge up to eight devices from the comfort of your bed. All components are UL listed, Made in the USA, FR 1633 compliant and have a Lifetime Limited Warranty. The newest customizable organic mattress by Savvy Rest is the SerenitySpring. Made with 8″ of recycled pocketed coils, and one 3″ layer of natural latex, the SerenitySpring is designed to be both comfortable and durable. Savvy Rest wanted to create an organic mattress option that was more affordable without sacrificing the benefits of customization. Like their Serenity and Tranquility mattresses, the SerenitySpring allows you to choose between Soft, Medium, and Firm layers of Dunlop and Talalay latex. What sets this mattress apart though is the choice between Plush and Firm pocketed coil units. Split pocketed coils in Queen, King and CA King allow you and your partner to have individual configurations, catering to your specific needs. The SerenitySpring is covered in their certified organic mattress casing, with organic cotton and organic wool batting, a natural flame barrier that promotes a cool sleep. We aren’t able to show this mattress in our showroom right now, but we can always place an order for it.